As a New Yorker of 8 years I’ve noticed that the longer folks stay in the city, the more they try to leave whenever possible. 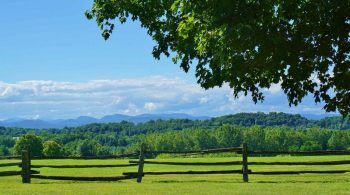 Whether it’s for mental health reasons, a curiosity to explore beyond the Big Apple, or the occasional upstate farm wedding, weekend excursions upstate seem to eventually become a priority for many New Yorker’s at some point or another. 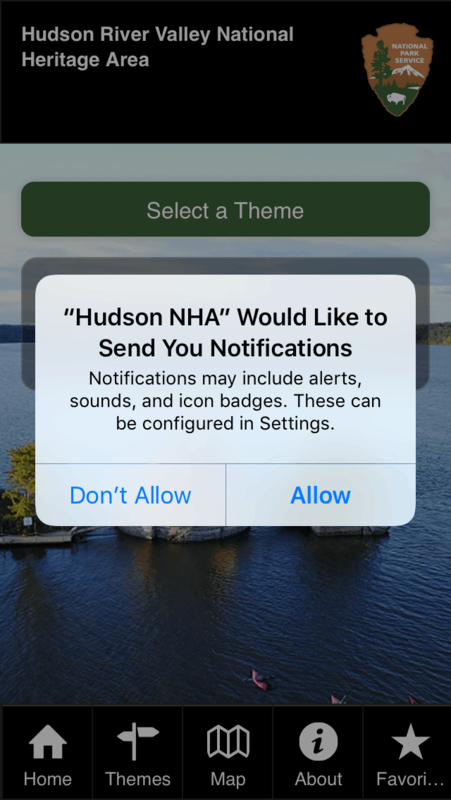 Enter the Hudson River Train Tour App, a new initiative to connect rail passengers to regional tourist attractions, themed trips, and informative audio guides. 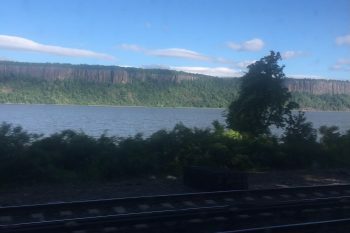 Part travel guide, audio guide, and entertainment, the app uses real-time mapping services to give rail travelers several tools to enhance their train experiences along the Hudson River. 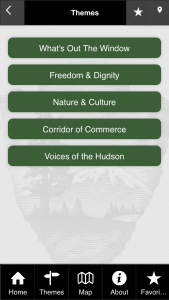 Users can learn about historical sites, nature, and other points of interest using one of the five designated themes or picking and choosing as they go. The free app is designed to educate and entertain train travelers and to also entice them to go out and explore. A few years ago, I started venturing upstate for weekend hikes, weddings, and/or to visit friends who have since left the city for both proverbial and literal greener pastures. As a transplant from Colorado, I knew very little about the history of New York State so I was excited to try this app and learn more about my adopted state. I’ll start by saying the app does takes up a fair amount of space on your phone so if you’re like me and have a lot of storage used up, I would recommend clearing space for the best experience. The app recommends using a strong wifi connection for downloading so I would also recommend getting the app at home before boarding the train. 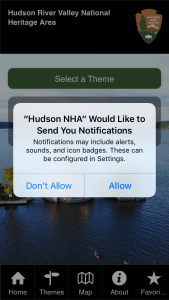 Once downloaded, you have the option to turn on notifications and grant access to location services. Make sure to do both so you can get real time updates when on the train. The app is divided into 5 themes: What’s Out the Window, Freedom & Dignity, Nature & Culture, Corridor of Commerce, and Voices of the Hudson. You can either hop around from theme to theme, or stick to one for your trip. Real-time location services give you notifications about points of interest outside the window – perfect for making sure you don’t miss a thing. Using the app I learned a lot of fun facts about the Hudson River (more on that below) which felt more productive than the Instagram scrolling I usually default to. I started the day pretty early and caught the 7:39 am train to Cold Spring from Grand Central. 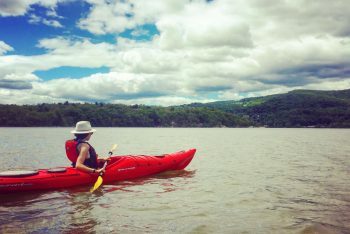 During my pre-adventure day research, I saw that there was kayaking in Constitution Marsh (nearest station: Cold Spring). Seeing as how I’ve never gone kayaking before I figured I’d start there and see where the rest of the day would take me. 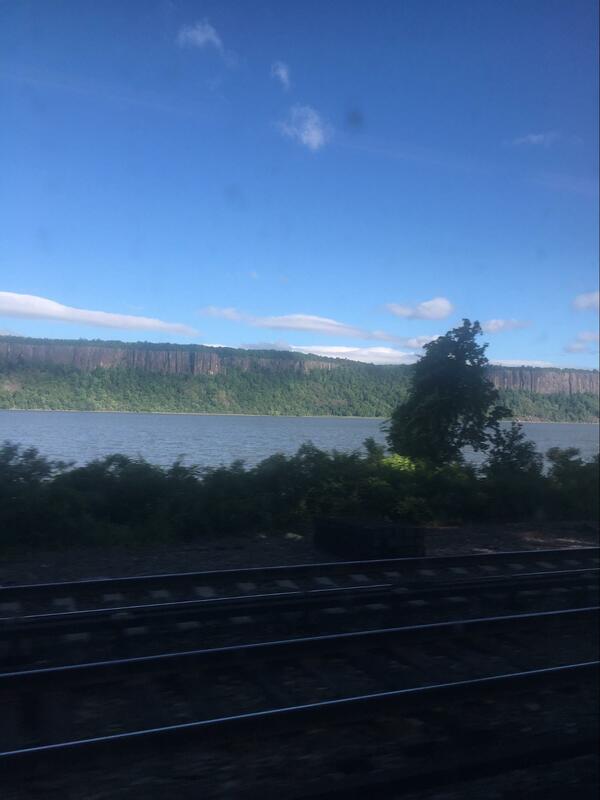 I’ll be honest and say I was still pretty zonked out without my morning coffee so while I did notice a few notifications pop up here and there I spent most of my ride up looking out the window and taking in the natural beauty of the Hudson River. 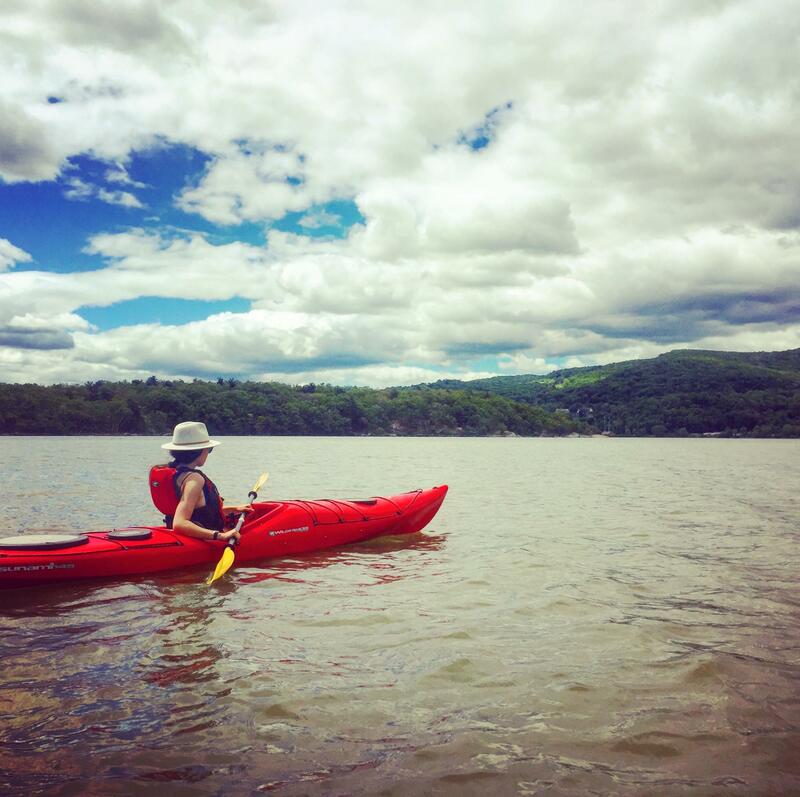 I got off at Cold Spring to do my very first kayaking sesh with the folks at Hudson River Expeditions (discovered through the app, of course). I opted for a two hour paddle into Constitution Marsh Audubon Center & Sanctuary, a beautiful tidal marsh located in Putnam, New York. Hudson River Expeditions is just a five minute walk from the train station and very easy to find through Google Maps. (Kayaking tip: make sure to bring a swimsuit and waterproof shoes – I didn’t, oops). After I received a quick tutorial, an explanation of the course, and a safety lesson, I was off. Seeing as how this was my first rodeo, I have to say I understand why people love kayaking. After a somewhat harrowing week in NYC, the water, the greenery, and the blue skies was just the type of nature therapy that I needed. After about an hour of silence, sunshine, and feeling a gentle breeze on my skin, I decided this is something I should really do more often. As a post-kayak treat, I grabbed a coffee and an ice cream cone at a nearby cafe and then hopped on the northbound train to explore some more. Feeling caffeinated from my mid-morning coffee I start paying more attention to the notifications on the app. Other notable destinations near Cold Springs are West Point Foundry Preserve, a sculptural interpretation that tells the story of 19th century ironworks and steam engines. Or, Boscobel, a neoclassical mansion in Garrison NY which holds an important collection of decorative arts (also from the 19th century), a rose garden, and a 1.25 mile-long woodland trail that overlooks the the Hudson River. 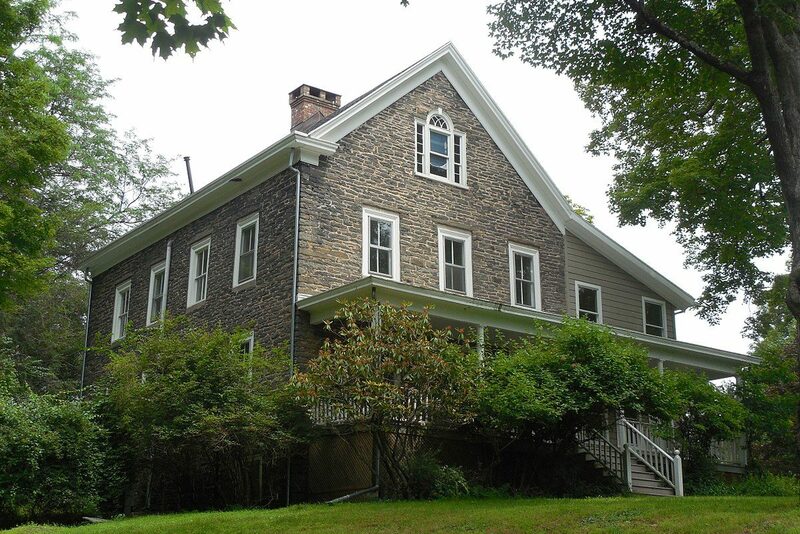 Guided house tours and events are available to the public April through December. 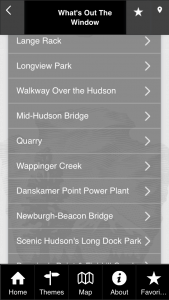 I’m a bit of a bridge enthusiast so when I saw that the Walkway over the Hudson State Historic Park was only three stops north in Poughkeepsie, I figured I’d go up there to walk the bridge, grab lunch, and do some impromptu exploring using the app. The Walkway connects Poughkeepsie, NY to Highland, NY on the other side of the Hudson. 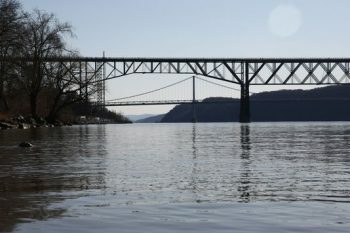 Built in 1889, this walkway was originally the Great Poughkeepsie Railroad Bridge which, was once the longest spanning railroad in the world and the first bridge to cross the Hudson south of Albany. Nowadays, the walkway is a huge tourist attraction as it’s the longest elevated pedestrian bridge in the world. After walking the bridge (tip: if you’re afraid of heights maybe skip this one and enjoy the view from the ground), I grabbed lunch and walked around the town using the app as my guide for information in and around the Poughkeepsie area. 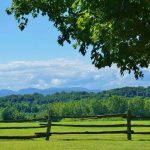 For those that are interested in exploring more near Poughkeepsie, check out Longview park which features two boathouses or take a tour at The Locust Grove Estate, purchased by Samuel Morse (yes, the guy who invented the telegraph and morse code). 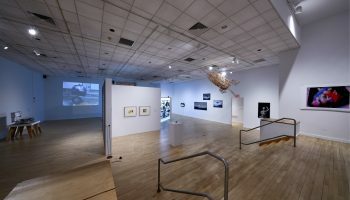 When it was time for me to return back to the city, I felt like I was able to fully explore all that the app had to offer – this is where I think the app really shines. I’m a big fan of podcasts so I spent a fair amount of time listening to all the audio guides in “Voices on the Hudson”. 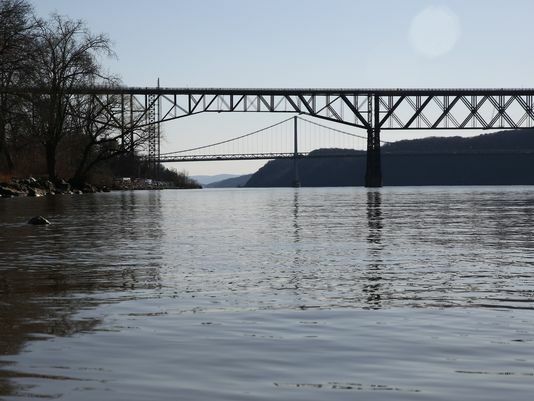 These audio guides feature feature interviews with scientists, historians, and local experts as you ride along the Hudson. There’s a high production value to the audio guides so it provides an enjoyable way to pass the time on the train in live time. Learn about Sadie Farrel, a woman who saw opportunity on the Hudson in “Pirates of the Hudson”, or Francis Bannerman, a teetotaling Presbyterian Scottish immigrant and a military explosives dealer who built a castle on a small island in the middle of the Hudson (find out why in “Bannerman’s Castle on Pollepel Island”). Another favorite? Learning what lies beneath the Hudson River in “Underwater Museum” (Spoiler alert: some of what lies beneath dates all the way back to the Revolutionary War). 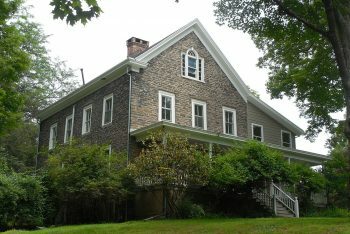 Other notable sites and fun facts I learned through the app include Fish Island, an island so small that fish can hop over it, Wappinger Creek, a railway bridge crossing over a creek named for the once powerful tribe of the Wappinger Native Americans, or Washington’s Headquarters, the historic Hasbrouck House which served as headquarters for George Washington when he announced the ceasefire ending the fighting of the Revolutionary War. 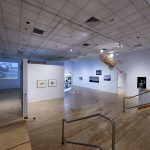 This, along with hundreds of others facts and notable tourist attractions, make for an infinite amount of opportunities that can be explored along the Hudson River. With just one day of using the app on the train I realized I had just barely scratched the surface. With Metro-North tickets being pretty reasonably priced (anywhere from $20-$50 round trip depending on times and how far you go) the app is a great way to plan a fun and affordable day trip or a provide an educational and interactive opportunity to pass the time on the train. The next time you find yourself heading out of town on the Metro-North for that friend’s wedding, impromptu hike, or for a much needed mental health break away from the city, do yourself a favor and download this fun, interactive app. 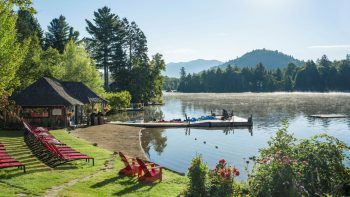 You’ll learn a lot, get new ideas for day trips, and hey you may even be inspired to make the plunge to move upstate for good (it happens to the best of us). 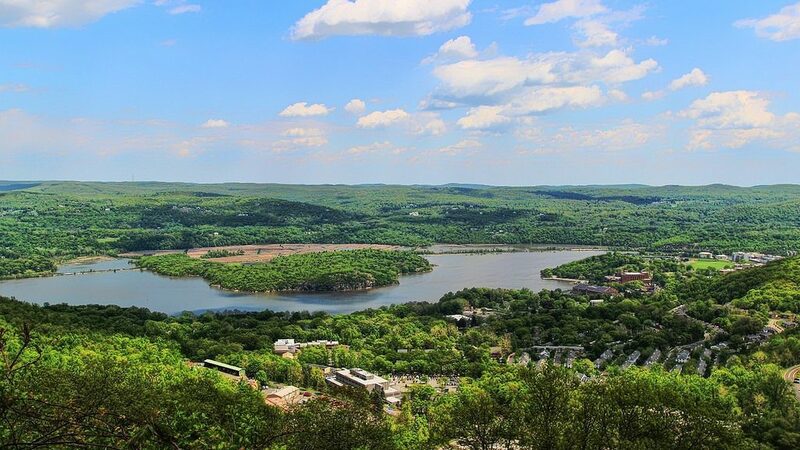 Header photo by Hudson Valley, NY, credit. Angelica Olstad is a musician, yogi, writer, speaker, and wellness expert. 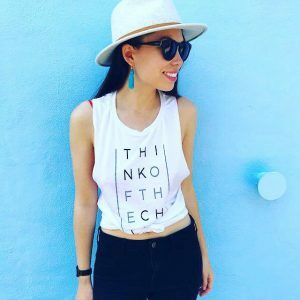 She is the founder of Pop Up Yoga NYC, a yoga company that takes yoga into urban spaces with unique events in addition to providing affordable yoga classes for the NYC community.